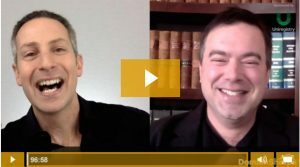 2015 saw some very interesting cases in domain name law. On Monday, January 11, 2016, at 1 pm, there will be a short session highlighting some of the most important cases both under the UDRP and the ACPA. 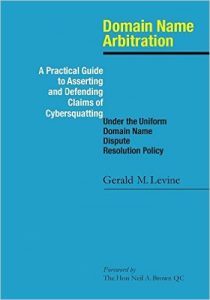 In addition, copies of Gerald Levine’s new UDRP book will be raffled off to the session attendees. You will hear how some UDRP panelists have taken it upon themselves to radically re-interpret the UDRP to help trademark owners and harm domain name owners. You will also hear about the new UDRP procedural rules that went into effect this past summer and how the UDRP might be changed in the future. You will also hear how different judges from different districts have come to different conclusions in ACPA cases. Renowned ACPA attorney David Weslow will be speaking on ACPA cases, and I will be speaking on UDRP cases. 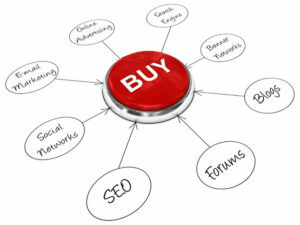 Successful domain name investor, Nat Cohen, will be bringing his perspective to the discussion as well. As I have said previously, Nat Cohen is amongst the most knowledgeable non-lawyers one could ever meet when it comes to the UDRP. Moderating the discussion will be renowned Internet litigator, Derek Newman. I encourage you all to attend and look forward to seeing you there. 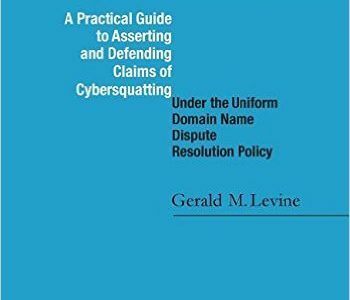 As mentioned above, as an added bonus to this exciting session, lawyer and author, Gerald Levine, has graciously donated several copies of his book, “Domain Name Arbitration – A Practical Guide to Asserting and Defending Claims of Cybersquatting” to be raffled off to the session attendees. 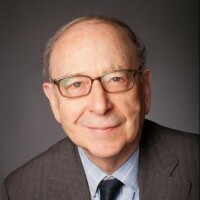 Gerald Levine is a New York City attorney, who has spent a considerable amount of time and effort in analyzing and reporting on UDRP decisions, which he has compiled into his new book. Gerald, how did you first become interested in domain name law? I’m a litigator by trade. About ten to twelve years ago I assisted an attorney friend on a domain name issue. This was a new area of practice. I started by researching and writing a memorandum for his client that began growing as I added and reorganized material. I didn’t stay with the original matter although I continued researching and collecting material. What led to your writing of the book? Somewhere around 2006 or 2007 I began writing blogs on domain name disputes that got some attention. Those blogs functioned as a kind of laboratory in which I tested out ideas and modes of expressing my findings and conclusions. That the accumulated material could form a book didn’t come into focus until around 2012. 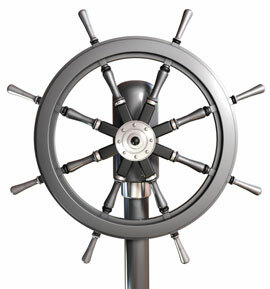 The acorn ultimately developed into a study of domain name arbitration. Do you handle domain name disputes? I don’t actually handle disputes, although I would if they came my way. 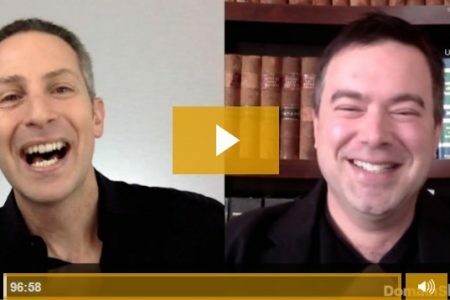 I field calls from attorneys and parties involved in domain name disputes and give advice as to likelihood of success and risk, and why I think so. What are the most interesting cases / most important issues from 2015 in your opinion? 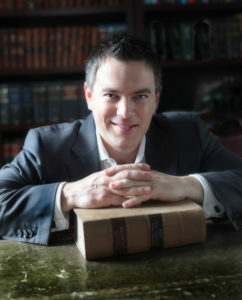 The most contentious issue in UDRP jurisprudence, which started in a duo of cases in 2009, has been the attempt by a few influential panelists to change its construction to allow for forfeiture regardless of good faith registration if domain names are subsequently being used in bad faith. A number of panelists restart the time on renewal of registration when there’s been bad faith use preceding it. This view, which hasn’t really gotten anywhere and to my mind is a dead end, attempts to bring the UDRP into alignment with the ACPA. Nevertheless, there continue to be some anomalous decisions sometimes by dissenting panelists that go to great lengths to explain the reasoning behind the view. 2015 has further consolidated the jurisprudence. Complainants still try their luck for 2 and 3-character domain names when it’s obvious they cannot mount an affirmative argument. There’s also a good number of cases by complainants whose rights postdate the domain name that should never have been brought. There’s a lot of chatter when Panels fail to declare RDNH for what appear to be obvious abusive process, but it’s understood that the sanction is discretionary. I find interesting that there are panelists who will declare RDNH without being asked, most recently in 3-member Panels. I think that’s correct. There’s been some interesting decisions under the Anticybersquatting Consumer Protect Act particularly in the area of fraudulent transfers (unreported).